Web agency, Expert Web, is celebrating a first year of trading which has seen the business grow from its Rotherham base. The agency opened its doors, on February 1 2016, with visions of providing local businesses with affordable web design, and working towards expanding across the country and as far as they can go. It began with just five members of staff focusing on producing affordable websites for local businesses around Rotherham. Within the first 12 months Expert Web liaised with clients from Rotherham, to Leicester, Lincoln and as far as London. The head count in their office continues to grow, as does the business, with over 80 websites being launched in the first 12 month period, including a new website for Barnsley & Rotherham Chamber of Commerce. The team have also been given lots of search optimisation contracts from a number of clients, to meet their clients' needs as much as possible. The launch of the new agency gave an opportunity for three digital professionals to step into their first management roles, and the agency has also established a strong apprentice programme with 3aaa of Sheffield. There were no delays in the team establishing itself to undertake such a large portfolio of work in its inaugural year. 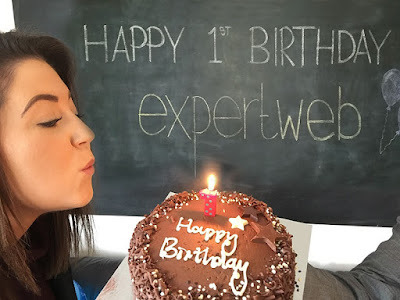 Chris Harpin, managing director at Expert Web, said: "It seems only yesterday that we opened the doors as Expert Web but the volume of work that we have undertaken is astonishing. I can't thank my colleagues enough for the hard work and constant positivity that they have shown throughout. I had high ambitions when we started the agency and the people I work with exceed them daily. "With the political distractions that we have faced both nationally and internationally it has been encouraging (and a relief) that the demand for value driven digital services in South Yorkshire remained high throughout 2016. I'm full of confidence that 2017 will be another great year for Expert Web and our clients."